Apple launched their new iPod nano on 9th September. Apple not only made the new nanos taller but also sleeker and sexier. 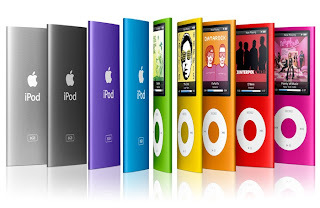 The new iPod nanos are available in nine bright colors including silver, black, purple, blue, green, yellow, orange, red and pink, Apple calls the new color lineup “Nano-chromatic”. That's it from the "Let's Rock" event. we will cover each of the product released today in detail, later today. Big cheers from the crowd after the song, Jack says "Apple has been really supportive... I wanted to say thank you." Looks like this is the end of the Let's Rock event with soft acoustic. Steve introduces Jack Johnson as the number one selling male artist in iTunes history. Jack is on the stage performing. Back to iTunes and iPods. We've got the best lineup we've ever had. more that 160 million iPods sold. It will also include some performance enhancements and will be available on Friday. 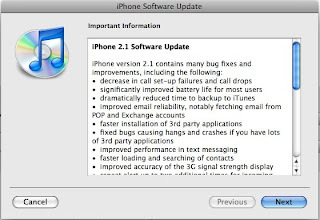 Steve now talks about iPhone firmware 2.1, it will fix lots of bugs. Fewer dropped calls, big battery life improvements, no crashes with Apps and faster backup. Steve says "This is the funniest iPod ever. We think people will really like. We've got it in 3 models 8GB for $229, 16GB for $299 and 32GB for $399. all three models are available today. Steve is talking about environmentally sound design on the touch. Steve is back on stage, iPod touch battery life will be 36 hours of music and 6 hours of video. Now he is showing Real Soccer 2009 and the game has impressive graphics. And after Soccer its Need for Speed. Steve is now demoing the improved iPod touch UI. Now App Store it been only 60 days since we opened the App store and it has already sold over 100 million apps. The touch will come with built-in Nike+, The receiver is built-in you will just need a transmitter for your shoe. Let's move to iPod touch, new iPod touch will use that same display but will be even thinner with contoured stainless steel design. it will also have integrated volume controls on side, built-in speaker and Genius playlist. Apple is introducing new in-ear headphones that have two drives one woofer and one tweeter and it will be priced $79. Steve introduce accessories for the nano armband, headphones that come with play / pause, volume control and a mic. single click will play or pause, double click will fast forward to next song and triple click will go to previous song. 8GB will be available in store within few days and 16GB will be available with in a week. Steve says the Nano will be available in whole rainbow of super bright colors. Bright blue, purple, orange, green, pink, yellow and red. The 8GB model will be priced $149 and the 16GB model will be priced $199. Now Steve is demoing the iPod Nano, shows new feature shake to shuffle. you just shake it to change and shuffle songs. You can turn the iPod nano sideways for full size album art, photos and video. By holding the center button a popup menu will appear to take you to Genius or main menu. The new nano has curved aluminum design with curved glass and enhanced UI with new features. Apple says that they have added the accelerometer and the new Genius function on the iPod. Steve show the iPod nano and says it's quite small, extremely thin. You'll be blown away with how thin it is. Steve announces the new iPod nano, the pics on the screen looks like the spy shots leaked few days ago. 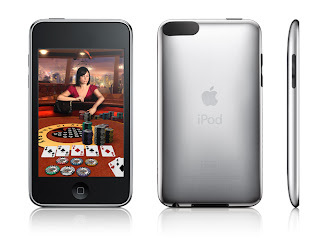 Total number of iPods sold are over 160 million. We are upgrading the Classic iPod to 120GB for $249. Now lets talk about iPod. He shows a market share chart showing iPod's at 73.4%, Sandisk at 8.6%, Zune at 2.6% and others at 15.4%. Genius send information about your library to iTunes completely anonymously and combines information from other libraries from other users to get smarter and smarter at recommending good music. Genius recommends music based on what you are listening. you can also bring up Genius sidebar which will make recommendations from the iTunes store. 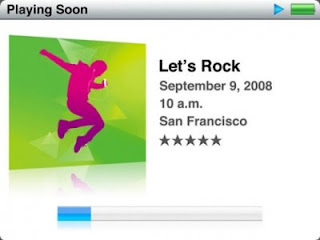 iTunes 8 will bring HD TV shows , voice over accessibility, new browsing and something called Genius. Old browsing wasn't efficient and so we have added new album cover and this new bar at the top let's you look at anything graphically in little tiles. Today we are introducing iTunes 8. He says the topic this morning is music. Lets start with iTunes, it offer 8.5 million songs, over 125,000 podcasts, 30,000 tv shows and 2600 movies and 3000 apps for the iPhone. Last Tuesday, Apple had sent out invites for its special event “Let’s Rock” that will take place today at 10 am PDT/ 1 pm EST. Apple will hold the event at the Yerba Buena Center for Arts in San Francisco and we will be doing live coverage of the event at live.techztalk.com. The coverage will start at 10 am PDT / 1 pm EST, be sure to join us for the live coverage of the event.